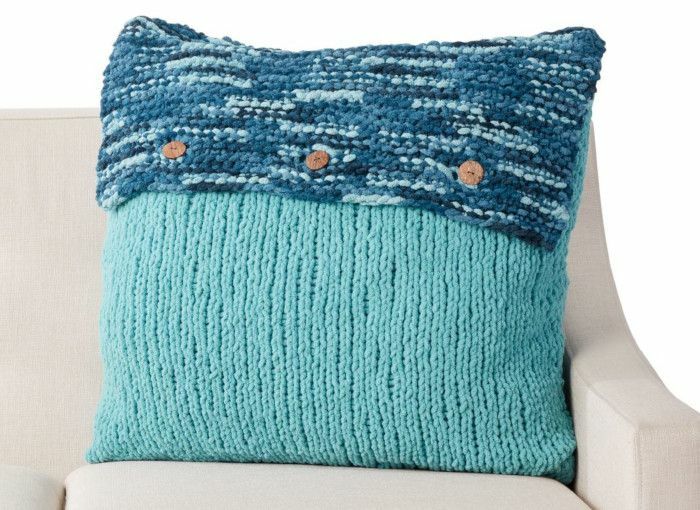 Beginner knitting pattern for a cosy cushion pattern in two contrasting Bernat Blanket colours. Hooks required Size U.S. 11 (8 mm) knitting needles or size needed to obtain gauge. 24'' [61 cm] square pillow form 3 buttons.